Scout Coffee Company isn't the only caffeinated business finding a stable home. In just a few months, Jim Osborn and Sam Clifton have gone from working as baristas at Burlington's Uncommon Grounds Coffee and Tea to opening pop-up coffee stop Cursive Coffee to owning their own café. 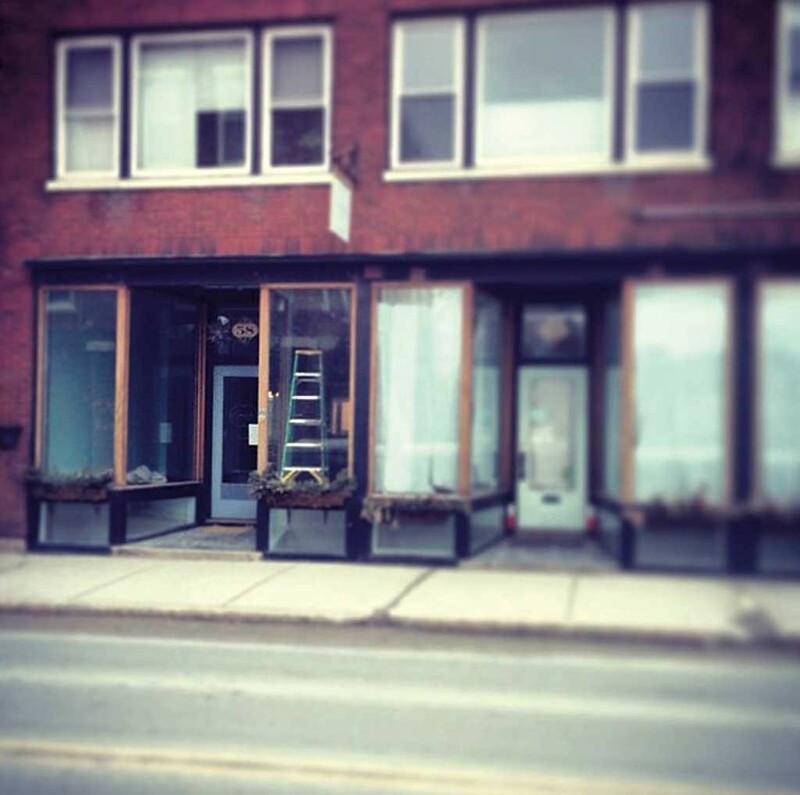 Osborn says he hopes to open Cursive's permanent space at 58 Main Street in Middlebury in June, with a potential May soft opening. Osborn calls it "a stroke of luck" that Middlebury architect Anne Barakat approached Cursive Coffee about opening a storefront "as the public façade" of Boo & Roxy, her new design studio with partner Jon Craine. Construction began last weekend on the space designed by Barakat, the woman behind the look of hip stores including Anthropologie and Urban Outfitters. As Osborn describes it, the new Cursive Coffee will boast an ambience that's "very fluid and engaging and dynamic." That means no set point of sale — customers will sit at the bar and order from baristas wherever they might be standing. "It is much more similar to what you would expect walking into a bar than an espresso bar," Osborn says of the space, which will have limited seating beyond the bar, too. The coffee will be the same that attracted an enthusiastic following in Burlington when Cursive popped up in the South End and at the Burlington Farmers Market. Osborn and Clifton roast the beans themselves to complement their inherent flavors. Osborn says they'll consider stocking a few snacks crafted by artisans whose passion for their businesses matches his own for Cursive. What will Burlington fans of Cursive's cups do when it opens up shop in Middlebury? Keep on drinking. The busy baristas will continue to serve at Pine Street's Barge Canal Market, next door to Myer's Bagel Bakery, from Friday through Monday, as they have since December. In fact, hours at the Burlington location will expand next month.